Just the other day I had the chance to play one of my favorite games. 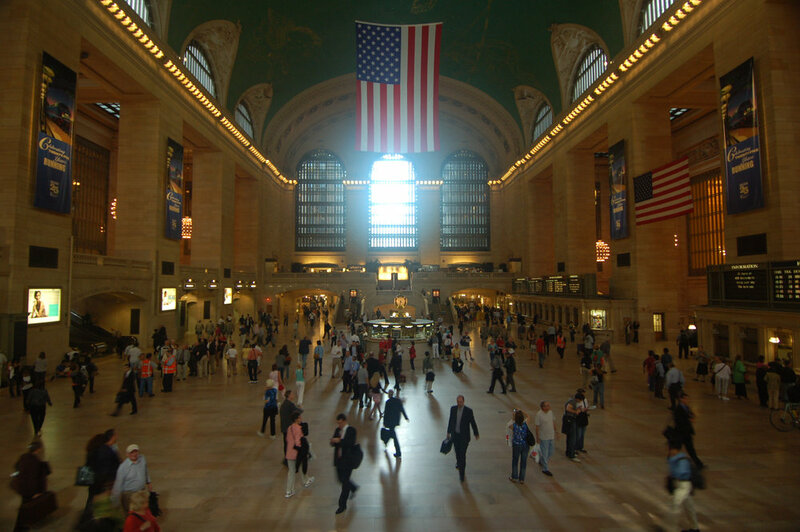 I was passing through Grand Central Terminal at the height of rush hour, thousands of people moving through the cavernous space and the adjacent hallways, forming human streams crossing each other. This can be quite stressful, both because of the sheer number of people trying to get where they want to go as quickly as possible, and also because I passed through this space daily for years after 9/11. In those days, there were heavily armed national guards members and bomb-sniffing dogs patrolling the terminal. I was deeply grateful for their service, but also constantly reminded of the risk that something horrible could happen. In the clamor, noise and human torrent of Grand Central, I can flip the moment by playing a game. I try to look as many people as possible directly in the eye, smiling, as they pass me by. I get to see them in their humanity, each of them doing just what I am doing : trying to get somewhere. As I do this, I become aware of what it really feels like to look at someone. I realize how often I see through people, rather than truly seeing them. I marvel at their varying shapes, sizes, fashions, colors, ages, and as I move through the terminal I notice that they are smiling back at me. I send each person a wish for a safe journey. I realize that the way I look at others is how I believe they are looking at me. If I regard others with judgment, or a sense of separation, that's I how I perceive them to be looking at me. And the reverse if powerfully true, as well. When I look at them with care, curiosity and connection, I feel those sentiments coming my way from them. After playing this game in Grand Central, I reach the subway feeling connected to thousands of friends I haven’t met yet, instead of anxious and fearful. Another moment flipped. This week we engage in the practice Equanimity for Everyone. We practice cultivating an even-heartedness to all beings. It’s a deeply aspirational practice. One more way for us to begin flipping moments to joyful experiences from sources of discomfort.